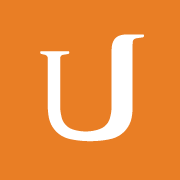 Udacity, a Mountain View, CA-based online education startup, raises $35m in funding. The round was led by Drive Capital with participation from Bertelsmann, Recruit, Valor Capital, Cox Enterprises, Andreessen Horowitz and Charles River Ventures. In conjunction with the funding, Drive Capital co-founder Mark Kvamme joined Udacity’s board of directors. The company plans to use the funds to focus on nanodegrees, a new type of credential for students to gain skills recognized by employers around the world. Led by Sebastian Thrun, co-founder and CEO, Udacity builds technology classes that are designed to advance lifelong learning. They are available anywhere, on any device, and come with personalized coaching and a project to demonstrate mastery of skills. The company currently has close to 3 million enrollments from 119 countries for its online classes that are built with industry leaders like Google, Facebook, AT&T, Cloudera and MongoDB, among others.